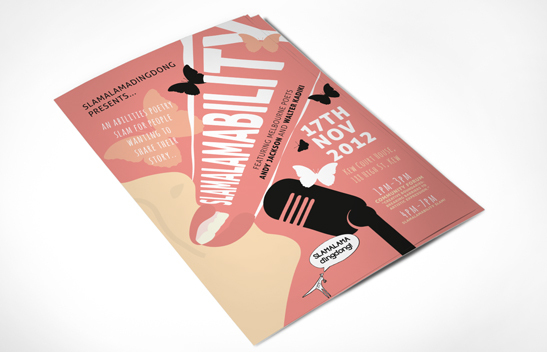 Designed the posters and blog for the Slamalamadingdong Presents Slamalamability! 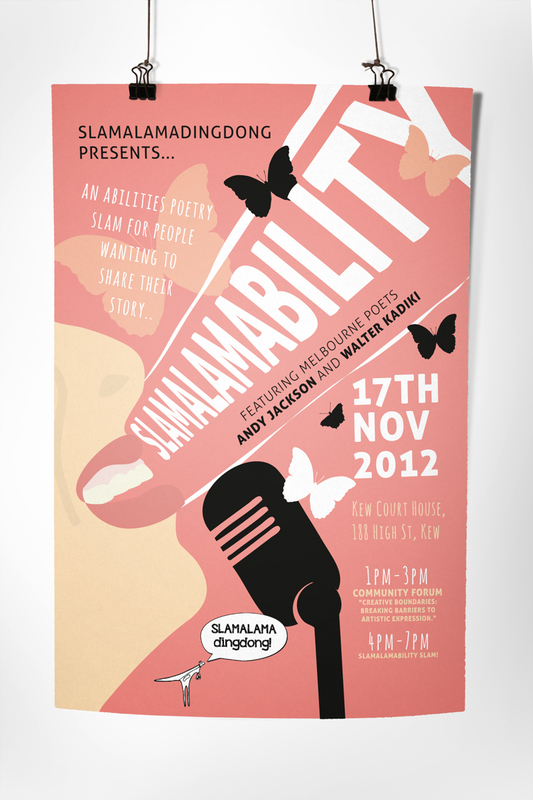 An All Abilities Poetry Slam! This entry was posted on October 23, 2012 by studiopossum in Graphic Design and tagged graphic design, Poetry, poster, slam.